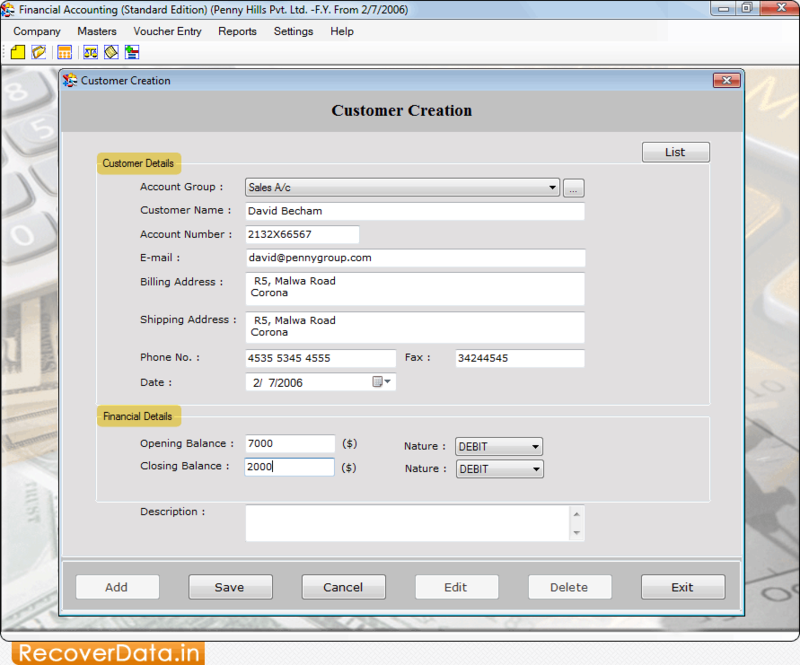 Customer Creation wizard to create 'Customer Details' as well as 'Financial Details'. 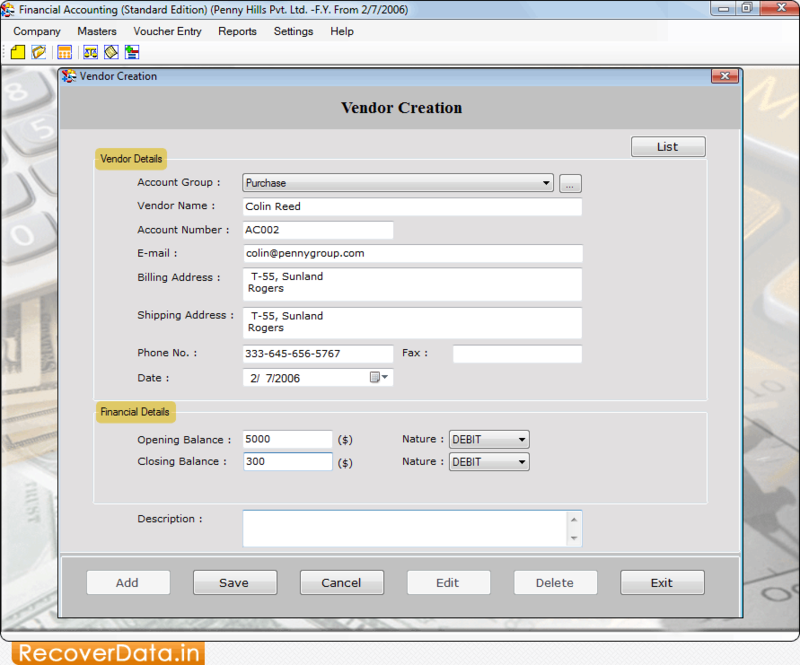 To create Vendor Account, enter 'Vendor Details' as well as 'Financial Details'. 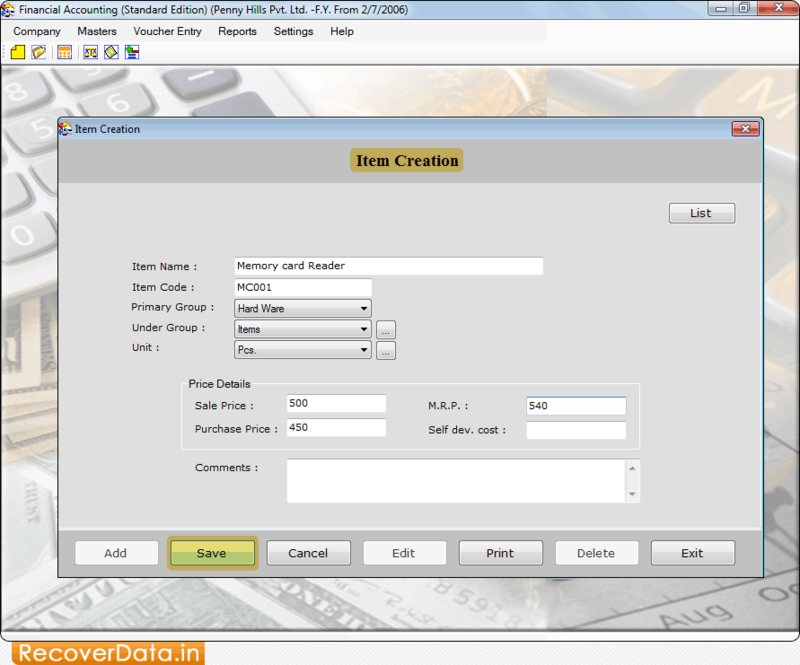 Item Creation wizard to create and save item records.